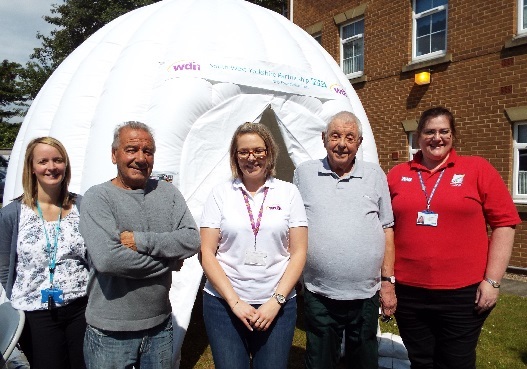 A white inflatable “health pod” allowed representatives from South West Yorkshire Partnership NHS Foundation Trust to offer free blood pressure checks. Jane Marriott (SWYFT Community Food and Health Development Worker) and Pippa Lloyd (SWYFT Stop Smoking Specialist) were also on hand to provide advice on healthier living options. 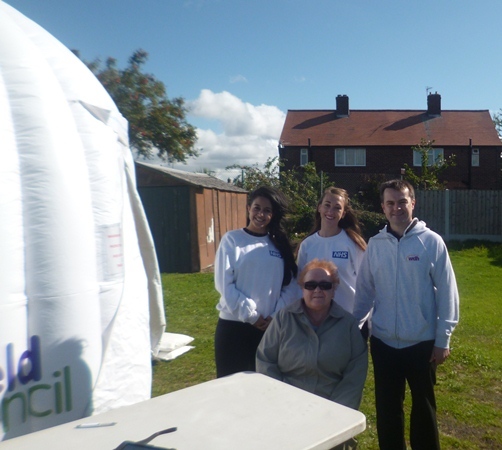 WDH Tenant Involvement Officer Kathryn Hutchinson said: “It was an ideal day for an outdoor event and people seemed keen to have their blood pressure checked in a relaxed atmosphere. 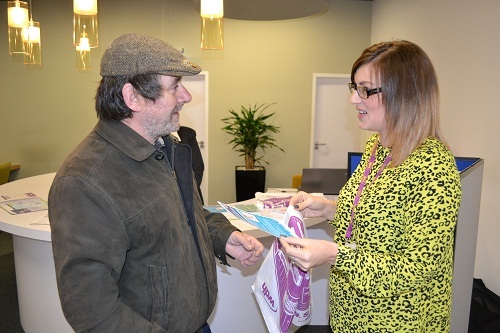 “We gave out lots of fruit and plenty of information about the services that WDH offers, such as the Care Link service for older and vulnerable people, who don’t have to be our tenants to benefit from our help. Pictured (from left) are Pippa Lloyd, tenant Steve Larkin, Kathryn Hutchinson, tenant Don Leicester and Jane Marriott. 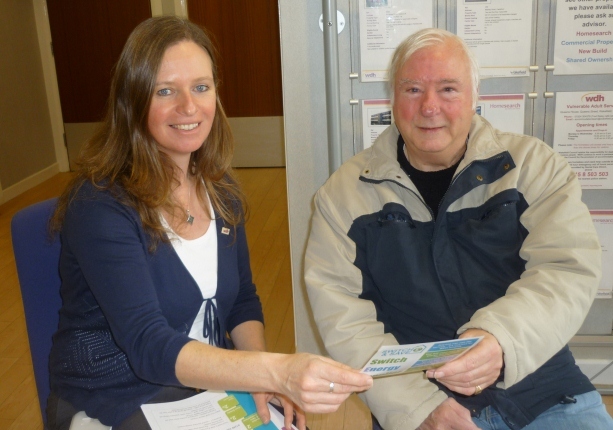 Tenants take advantage of free heating adviceTenants were given free Winter Warmer advice at a session in Wakefield.